The Hague: A suspected gas explosion in The Hague has injured at least nine people, trapping one under the rubble of a partially collapsed house, Dutch emergency services said Sunday. 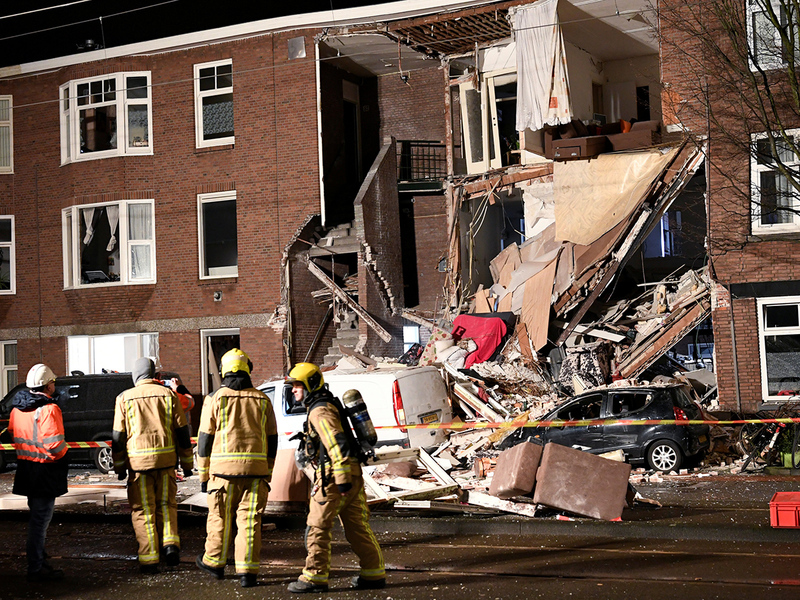 The blast ripped off part of the front of a residential building in the densely populated Laakkwartier suburb. Neighbours said they heard a loud bang around 4.30pm (7.30pm UAE). Dozens of emergency vehicles rushed to the scene, and a trauma helicopter hovered above as firefighters searched for victims. “Nine people were injured including three people who were rescued from the rubble,” The Hague fire department said in a tweet. “A fourth person has been found and will be rescued as soon as possible,” it said. “Because of the instability of the structure, it has to be done with great care,” it said. There were “no indications that anybody else is trapped,” the department added. Resident Wiekash Ramgolam, 39, said the trapped person was a nephew who was in his late twenties. I don’t have words for it because I just tried to call my nephew and he wasn’t picking up...,” he said. The Netherlands, with its 17 million inhabitants, is one of the most densely populated countries in the world. The urban Amsterdam-The-Hague-Rotterdam metropolitan area, called the “Randstad” is particularly crowded. Dutch homes are often terraced townhouses, attached side-by-side, which means that damage from gas explosions or fire often affects several other neighbouring homes.